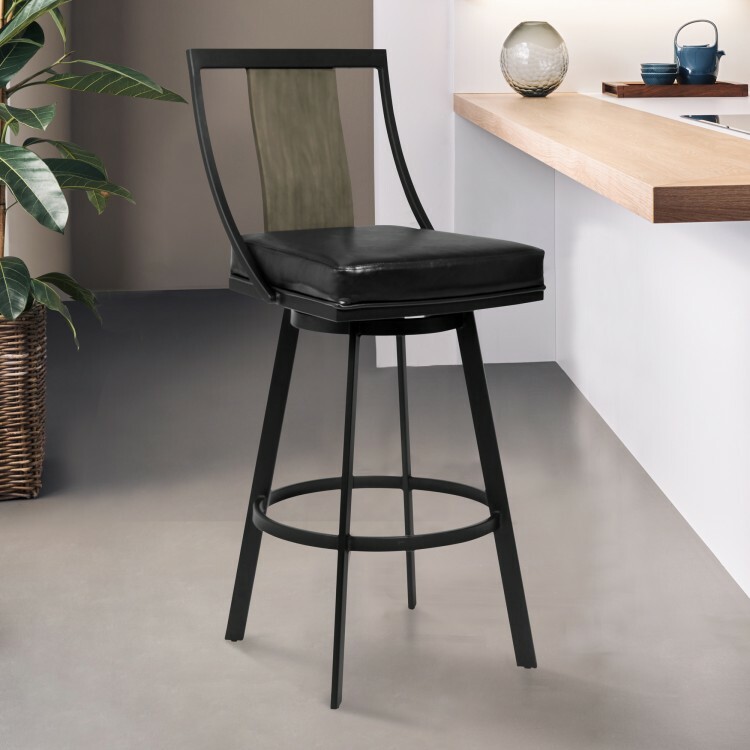 The Armen Living Easton mid-century armless barstool features a novel appearance that is certain to complement any modern household décor. 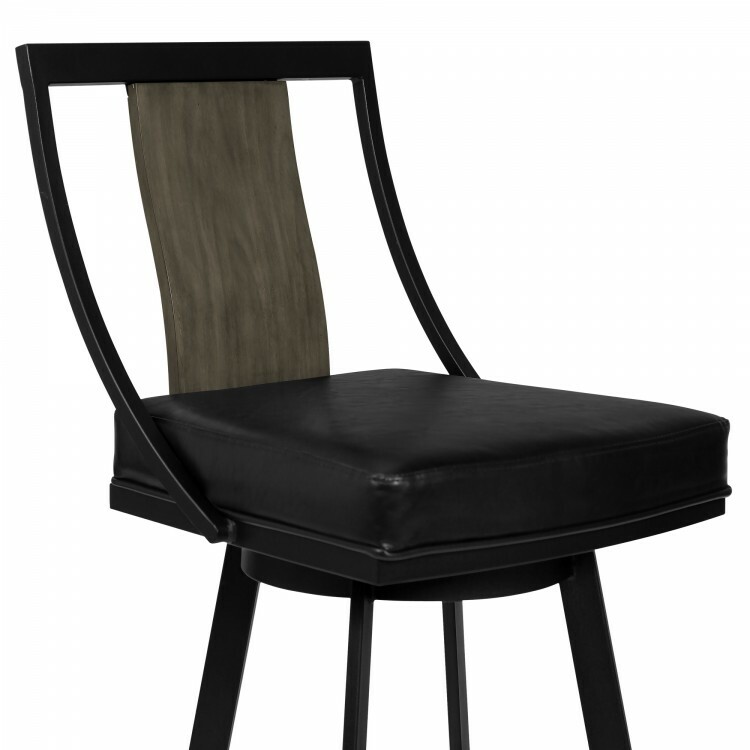 The beautiful Easton boasts a durable Matte Black finish metal frame paired brilliantly with plush Vintage Black faux leather upholstery. 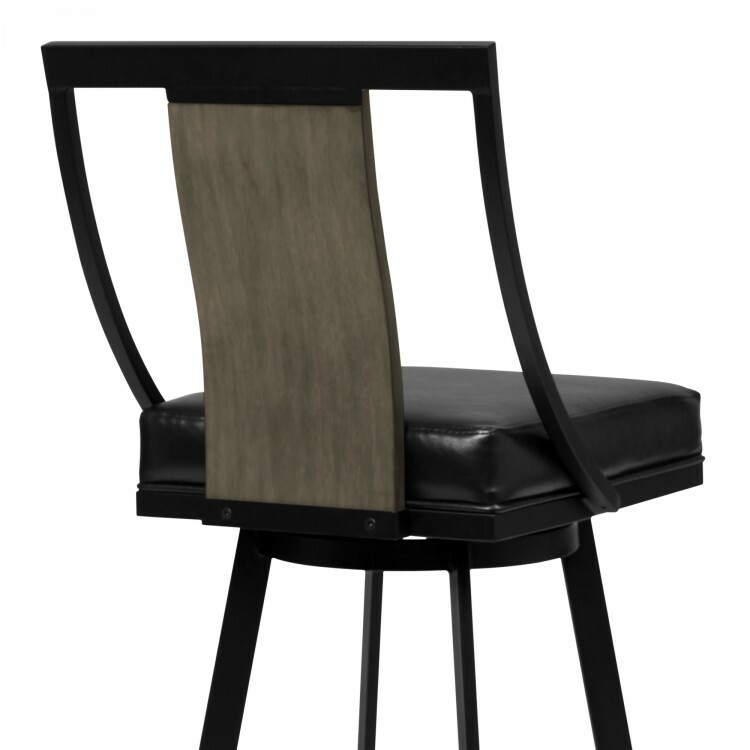 This stylish combination of materials is accented by the inclusion of a Grey Walnut wood back panel, creating a dependable product with a unique contemporary aesthetic quality. 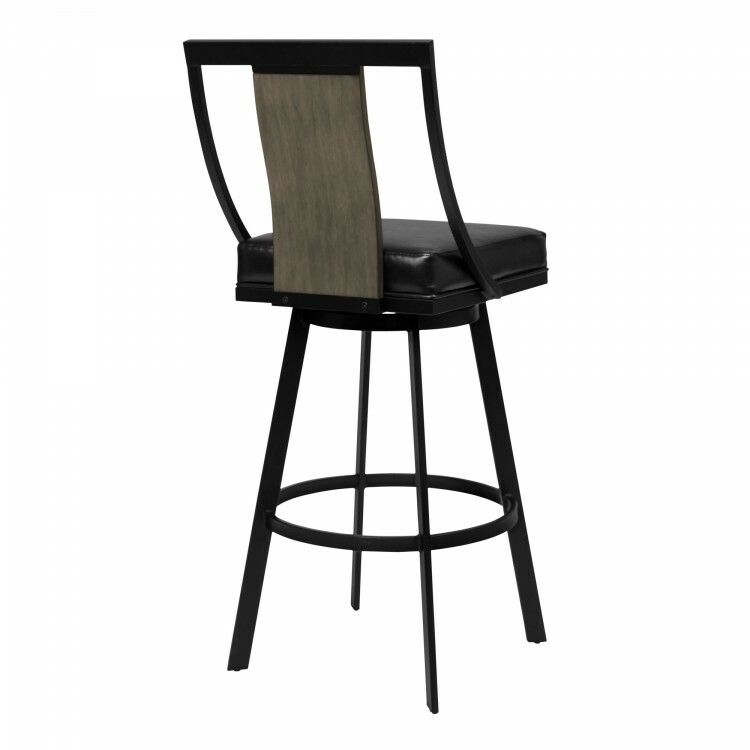 The Easton’s tall back features a slight curvature, providing excellent lumbar support while the 360 degree swivel seat allows for maximum user mobility. 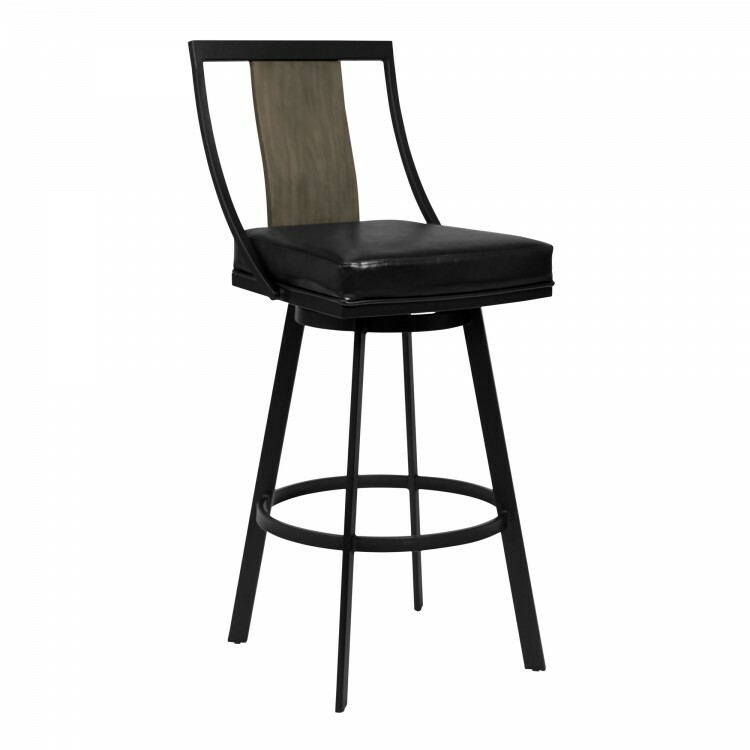 The straight leg design is accented by the inclusion of a round footrest and features included floor protectors, assuring that the barstool will not slip on or scratch hardwood or tile floors when moved. 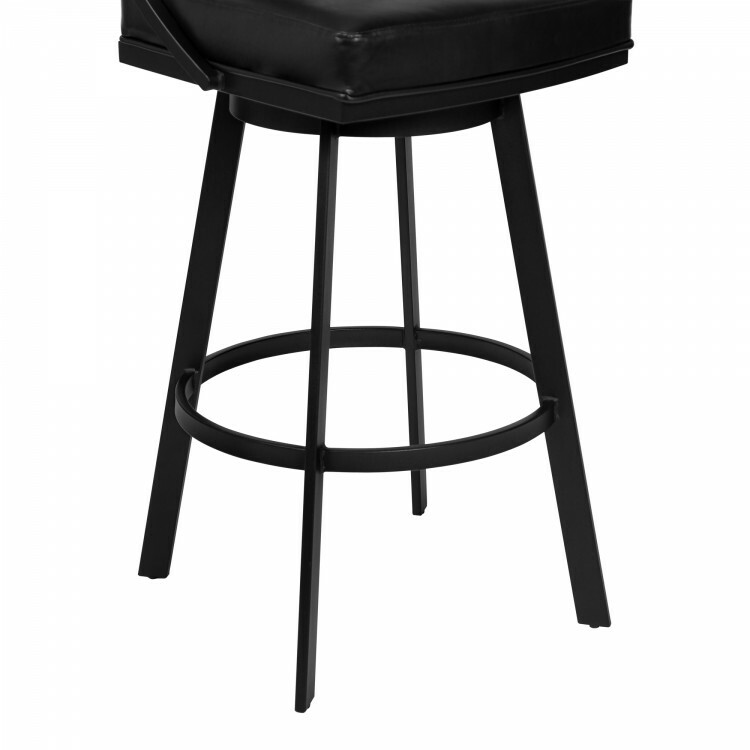 The beautiful Easton is available in two industry standard sizes; 26 inch counter and 30 inch bar height.